How do you help a leading European skincare brand gain a foothold in the US market? When Vichy USA hired me and Stark Design as its agency partner, I brought a wealth of experience to the table by introducing best practices for mass, drug and speciality retailing. Since the brand has grown up in a European pharmacy environment with individualized customer service, it has required a rethink of the communication model to reach an American consumer. From day one, we were charged with developing consistent design and brand standards across all touch points. As Associate Creative Director of Stark Design, I lead the design and production of merchandising graphics and planograms, email templates, retail displays, special packaging, promotional store banners, marketing collateral and advertising. The success of these programs has garnered incremental retail space and new account doors (like Ulta). 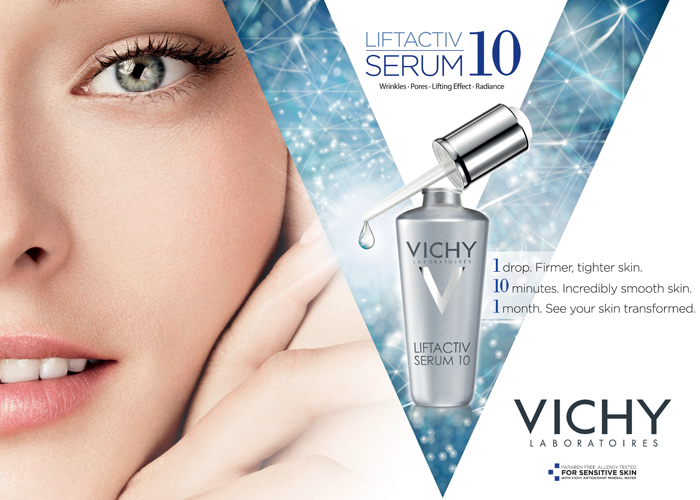 Out of our two-year relationship, we were awarded development of Vichy's pilot US ad campaign. I supervised the design and production of regional media including English and Spanish language print magazines, OOH (out-of-home), digital networks and account specific vehicles.